Is it just me or are Jason Statham's film titles getting less manly? We've had the likes of Blitz and Crank (grrrr!) to Safe and the star's latest, Hummingbird. Either way the trailer for the latter of these films has just dropped and it looks set to showcase another side to the action star. The films tells us of Joey Jones (Statham), a former special forces soldier who finds himself living on the streets. After stealing another man's identity, he soon becomes embroiled in the London criminal underworld and thrust into dealings with the Chinese mob. Whilst this synopsis may sound like traditional Statham fare, the trailer has us somewhat intrigued. Both written and directed by Stephen Knight (the screenwriter of Eastern Promises), Hummingbird looks set to have a little more heart than the star's usual projects. The trailer is not too action heavy, which leads us to think this will be more of a thinking man's action flick. But we're sure you'll get to see Jason Statham kick someone in the face at some point. 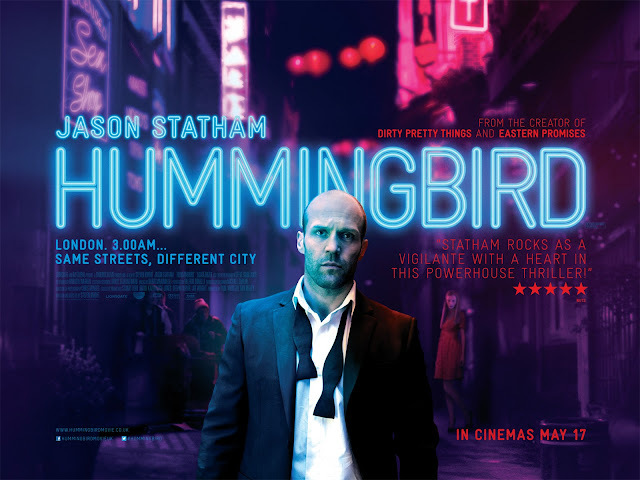 Hummingbird receives its UK release on the 17th May 2013, with European and a US release to follow.